A page on TigerLocal will showcase your business to hundreds of local people looking for a graphic design company. So you'll get serious enquiries from new customers. We are a Nottingham based creative studio specialising in graphic design and branding for print and the web. Our services include: Corporate Identity, Branding and Web Design & Development. 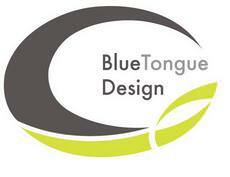 Blue Tongue Design is run from my office in Rothbury, Northumberland, where I love and do all things graphic design. We are a small team of talented creatives that can help your business grow. Thoughtful Design, precise Art Working, wonderful Retouching and stunning Photography, could make your brand or product infinitely successful. Oswestry based graphic and digital media studio offering businesses and individuals effective design solutions for promotional and marketing needs. As Rochdale's premier graphic design agency we feel that getting professional help in promoting your business should be near the very top of your company's agenda. We create innovative visual marketing solutions and affordable small budget-marketing packages that capture the spirit of your company or passion of your organisation. 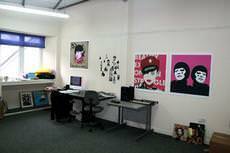 Left Hand Gang is a graphic design and web design studio based in Newcastle upon Tyne. 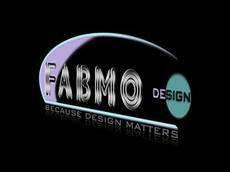 We look forward to working on new design projects to tailor fit each new client or business need. 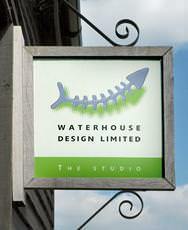 Northern Studios was formed in 1981. 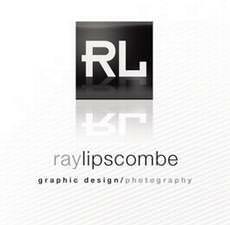 Primarily in a Graphic design studio, all illustration and photography is done in-house to offer the complete package. Everything from Corporate ID (logo design) to packaging design. One Hat Design is a Oxfordshire based creative design and advertising agency with 20 years of experience in print and web solutions. 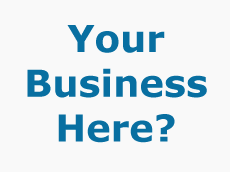 Quite simply we help to help build your business. One Trick Pony are a creative collective offering all aspects of design, print, web, branding, illustration, packaging and copywriting. Overthrow Productions is a small friendly and professional design agency offering a wide range of creative services from Branding to sound design. Our company is split in to 3 sections Productions, film and sound. 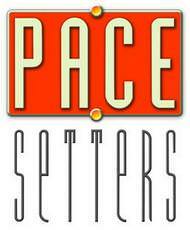 PaceSetters provide The Complete Design & Print Solution across the entire marketing spectrum. 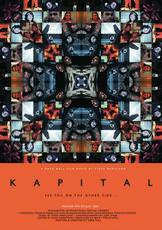 Image is vital in a marketplace where only the most innovative and imaginative campaigns are given a second thought. If you are an established business looking for a fresh new look, or a new venture seeking a quality brochure and website to provide impact to your customers and you need the help of an easy going and experienced designer. Redstone Creative is a small family-run graphic design consultancy based in the historic village of Rhuddlan in North Wales. Proof-checking of the Welsh language is carried-out in-house. Rogue Robot is a creative media company based in Cheshire. We can supply a whole range of media services from full video production to motion graphics, photography, live event filming, presentation creation and graphic design. Spirit is a small but friendly, helpful and knowledgeable design agency based in Cirencester dealing with Consumer and B2B advertising. Spirit Design is run by Philippa Finch who has 22 years experience of design & advertising. Urban Curve provides complete design solutions for companies within the UK and mainland Europe. Urban Curve delivers tailor made solutions drawing on wide-ranging experience, creativity and skill sets. A graphic designer works within the graphics arts industry to assemble typography, images, logos or graphics to create eye-catching designs. Typically, a graphic designer is tasked with presenting information in such a way that it is memorable and gets a certain message across in a visual, accessible way. What media will a graphic designer work on? Graphic design, as an art, has few boundaries, and a graphic designer or a graphic design company will usually be able to work with you or your business on a wide range of media, from printed brochures to electronic media. Does a graphic designer work with video or the web? Strictly, a graphic designer is not heavily involved with video advertising, but the boundaries of their profession are quite blurred. You will be able to find graphic designers who can work with a wide range of different media, sometimes being responsible for specialities such as user interface design and web design, or even video production. What tools does a graphic designer use? Over the past few decades, graphic designers have increasingly use graphic design software, such as the Adobe Creative suite. If they work on the web, they must also have knowledge of basic HTML and CSS techniques. Those working purely on print must be well versed in the different types of processes involved in printing. A graphic designer's job is to analyse a visual communication problem, and solve it. They must gather information on the prospective audience, and come up with ways visually to get a message across. A good graphic designer must be able to understand the audience socially and culturally, and know how to create a bold visual message. A graphic designer can typically help your company with its branding. Branding is essentially the "persona" of a company. Seemingly small choices in which typeset, colours or illustrations used in marketing and advertising will exude different qualities to your audience. Will a graphic designer dictate my branding? Graphic designers, in essence, do not decide on branding, but are skilled in the task of getting a corporate identity across visually. A skilled graphic designer will be able to take your proposed branding and turn it into a visual format for easy public consumption. Many graphic design companies will also be able to help advise about what type of branding may suit your company. Graphic designers are not strictly certified or licensed. Certification is available from major software vendors, as well as diplomas and degrees in graphic design, but do be aware that anyone can call themselves a graphic designer. How do I choose a graphic design firm? Although cost and size of a graphic design firm will likely be your main criteria for choosing one to help your business, there are also other factors to consider. Professional designers typically have some formal training, and are thus skilled in the art of visual communication. Getting a good design will cost more from a professional graphic designer (or a large design firm), but ultimately good design will lead to better marketing, advertising, and corporate identity.